Fans have been patiently waiting for years and even decades now for the Decline of Western Civilization movies to come out on DVD. The first one came out on laserdisc, but that's been it since their original VHS debuts. 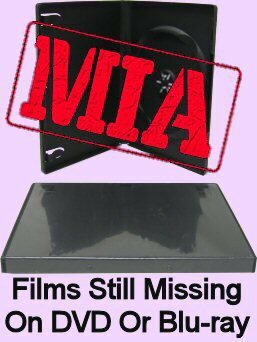 The filmmaker has had a website up for years and years saying that DVDs were coming soon; but it hasn't happened, likely due to issues licensing all the music. But actually, one of the series has actually been out on DVD for a couple years now... in Thailand. And I know what many of you are thinking: don't tell us about bootlegs; these have been some of the most booted flicks in film history. We all know about 'em; hell, most of us fans have already got 'em. But no, I actually think this might be legit. 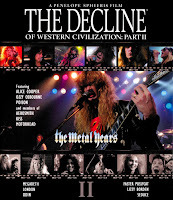 The Decline of Western Civilization 2: is a bit of a departure from the trilogy, which otherwise focus on the underground punk rock scene. 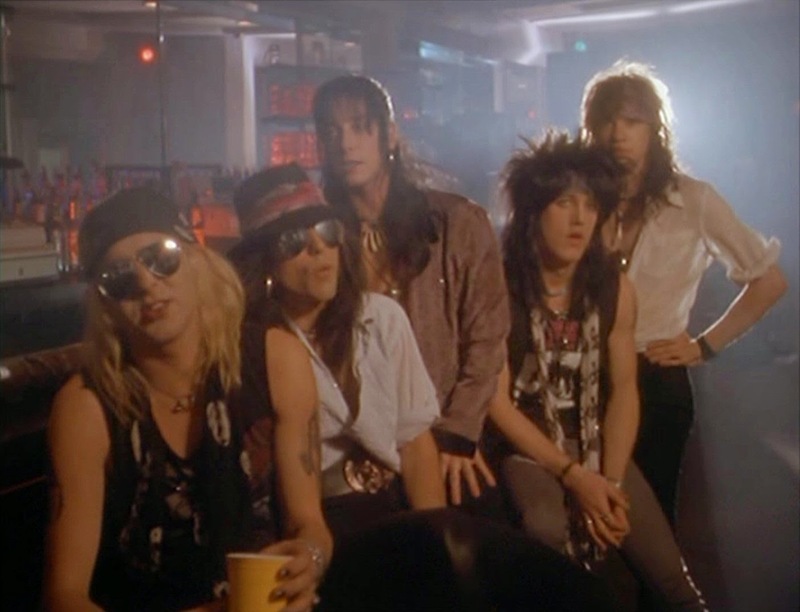 This one turns its attention to the hair bands of the 80s, giving equal interview time to the biggest acts like Aerosmith, Ozzy Ozbourne and Alice Cooper, to local bands, groupies and fans you've never heard of, but who make quite a statement. This seems to have become the most popular in the series, thanks largely to its long run on the Independent Film Channel... and because it's damn funny. The other two films are more geared towards genuine pock rock fans, but this film is equally as enjoyable if you love heavy metal, hate it, or are completely indifferent. The packaging certainly looks legit. It's leaps and bounds more genuine looking than your average scan of the VHS cover slightly blurry and resized to wrap around a DVD. 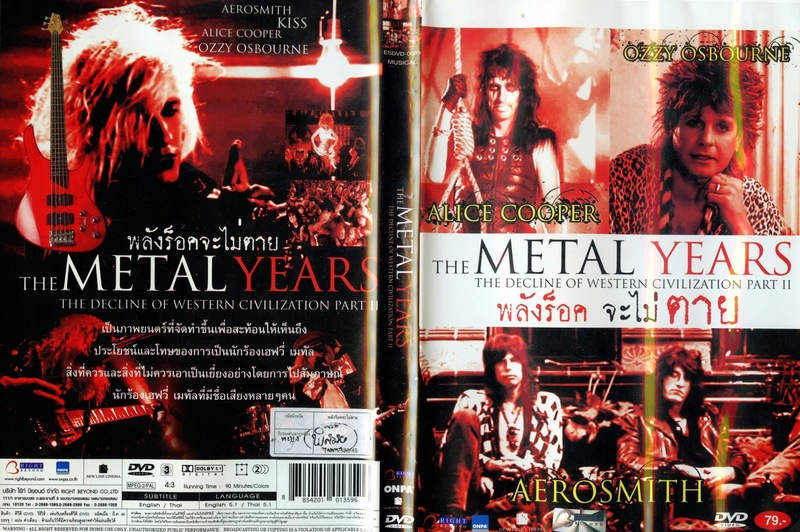 From its copyright info to corporate logos and websites that link to actual Thailand DVD companies, and even that little authenticating hologram sticker. If some bootlegger's just trying to trick us with this cover, then kudos to his graphic design skills. How about its functioning UPC code? That's pretty slick. DVD on the left, bootleg from "ImLivingInThe80s" on the right. 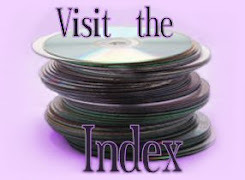 And the contents of the disc hold up to scrutiny just as well. The corporate logos that play at the start, copyright notice and the fact that this is a pressed disc, not a DV-R. And more importantly, I've seen multiple boots and rips of this movie, and this looks better than all of them. The image is clearer and sharper... and has superior framing with more visual information on the bottom and right (though the boot actually has a bit more along the top). Yeah, it's full-frame; but the composition at least looks like they were framed for the square with TV in mind besides just the theatrical matting. It actually looks pretty good. Update 7/3/15: But it looks even better in widescreen! 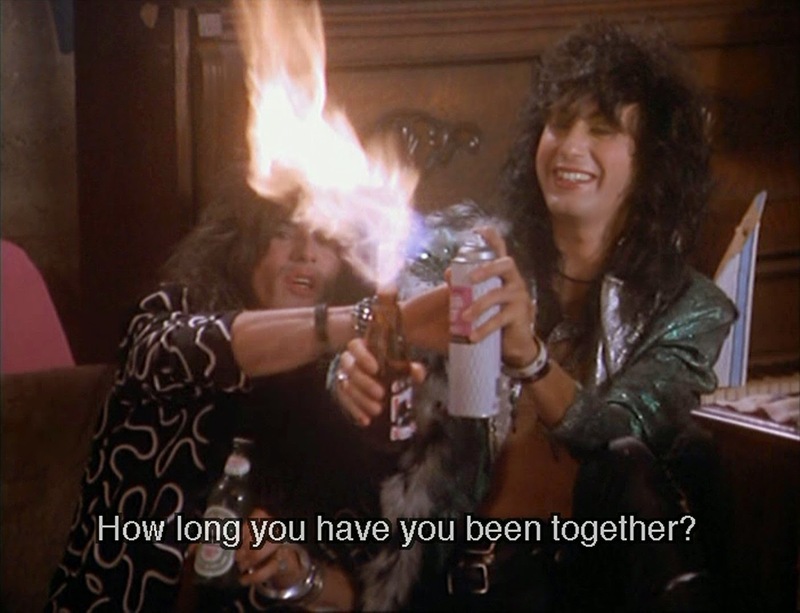 Shortly after this post, Shout Factory announced a boxed set of the entire Decline trilogy on blu, and now it's arrived. I'll be making a whole separate post on the entire trilogy [it's now up here], but in the meantime, here's a matching comparison of the new blu, vs. the bootleg and Onpa DVD shown above. The blu-ray, which uses a new 2k scan of an original film print, naturally looks heaps better. 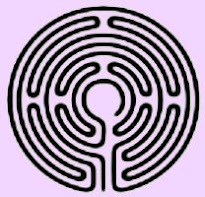 It's matted down to about 1.78:1 (there's literally 2 pixels worth of letterboxing along the top), losing info tops and bottoms rather than gaining anything on the sides; but OAR trumps everything. Plus, of course, detail and clarity of the image are far ahead of even the legit DVD. It's got some flecks and scratches especially right at the beginning; but it's minor and almost adds more to the movie's true film like quality than detracts. And interestingly, the colors are actually closer to the bootleg than the Onpa's warmer disc. Honestly, watching Shout's blu feels like finally discovering, ah, this is how the movie should've always looked. The blu has DTS-HD stereo and 5.1 mixes, which are a nice improvement as well. Audio's pretty important for a music documentary, after all. 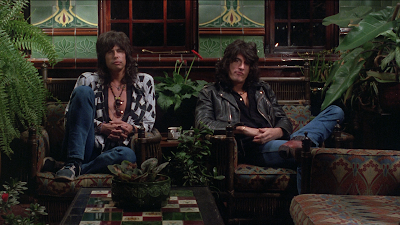 And there's an impressive collection of extras, including an audio commentary N'Adir Priest and Penelope Spheeris, as well as extended interviews (which average 15-20 minutes each) with seven of the different bands seen in the film, plus the theatrical trailer. Interestingly, the case also mentions "Tawn Mastrey interviews Penelope Spheeris," but that doesn't appear anywhere on this disc that I could find. And I spent some time poking around in case it was hidden like an easter egg, but nope. Now, that's specifically what's on the Decline II blu. But as of this writing, the blu is only available in a boxed set with the entire trilogy. And that box has a fourth, bonus disc (also blu-ray), with additional extras pertaining to each film. Right now the set is the only way to get this (and I do recommend the whole set), but it's quite possible these discs will be sold individually down the road. And this film stands out enough from the other two films that I could see some audiences only being interested in this particular one. So the above extras are all that's on the individual disc, but the bonus disc also features a lot of good stuff, but it's far less likely to be available apart from the rest of the trilogy. 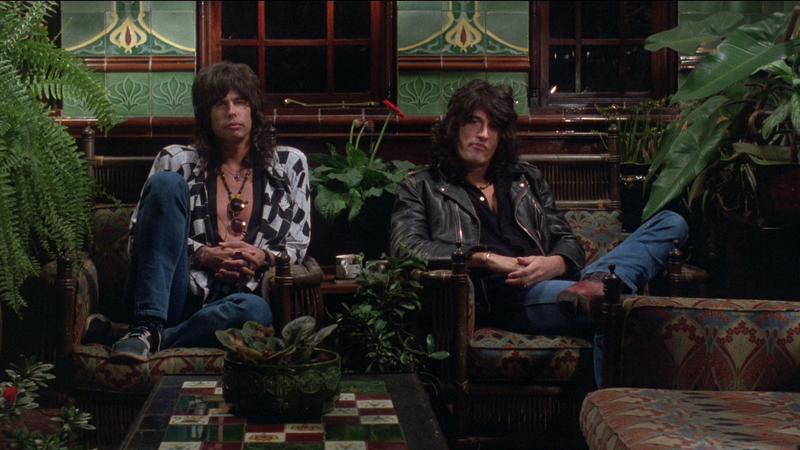 Specifically, we get another 79 minutes worth of extended interviews with bands from the film, a 7 minute featurette called Decline II: Cruising the Strip, a panel discussion on the film held at the LA Museum of Modern Art, plus a whole bunch of interviews and stuff that relate to other two films, but also the trilogy as a whole. 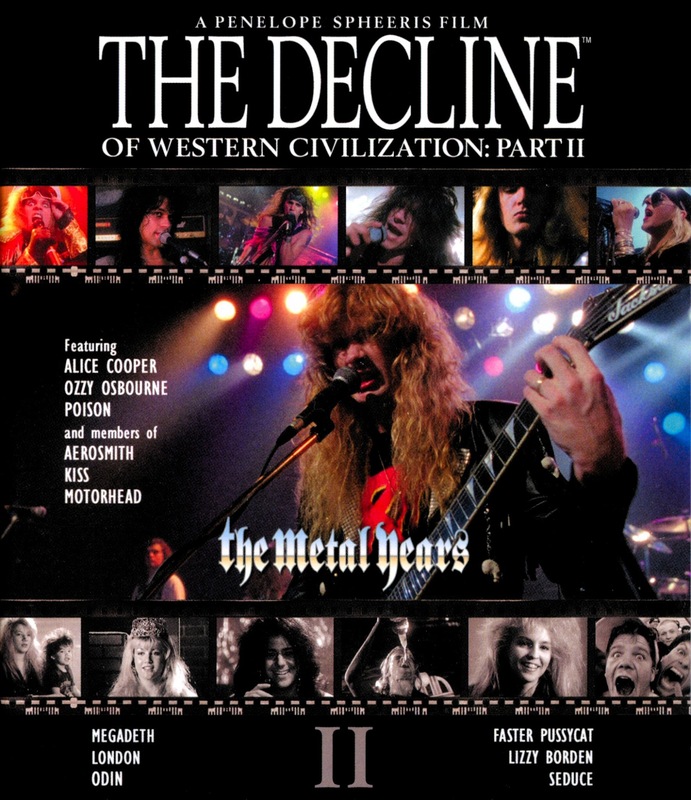 And there's a nice 36-page booklet with an entire section devoted just to Decline II. So yeah, a full review of the trilogy is on its way [it's now up here], with comparisons to all three film's old bootlegs, the original laserdisc and everything. But for anyone anyone interested in just Part 2, that's the scoop. Brilliant upgrade. Naturally, there are no real extras; but there are bonus trailers for The Chippendales Murders and Marines, both in English. It looks good, sounds great, and I recommend dipping occasionally into the Korean audio track for an extra smile. Not to mention it's the first flat-out legit release of the film. I'll still be on board if declinemovies.com ever comes through; but in the meantime this is too sweet to pass up.